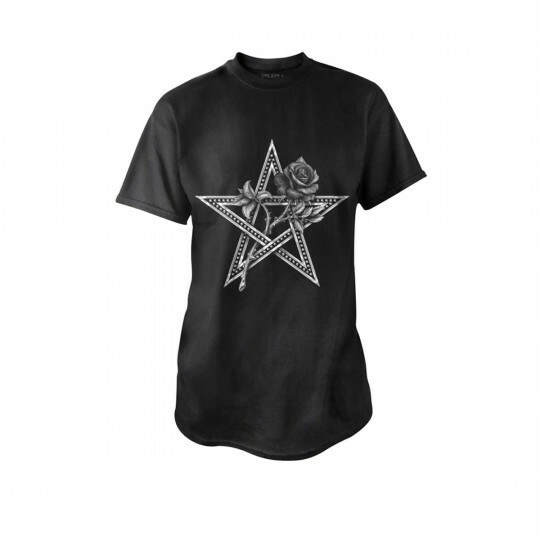 BT869 - Ruah Vered T-shirt in Tops, Blouses & Shirts is made for Women and Men and comes in Black and is made of Pewter material. It is marked as TShirts and weighs about 1.00 lb. The spirit and the Breath of Life, entwined with the romantic and sensual rose of faithful love.